suffrage: a vote; the right to vote.suffrage in Quebec, beginning to campaign for the vote in 1921. After finally achieving that goal in 1940, she continued to be an active reformer, joining the Co-operative Commonwealth Federation in 1946. 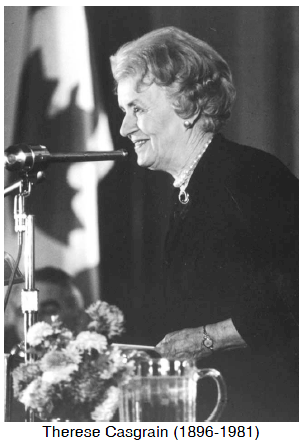 She became provincial leader of the CCF in the 1950s and was appointed to the Senate in 1970.